The Portfolio Committee on Health was briefed by the Department of Health (DoH) on issues that had been raised by stakeholders during the public hearings on the National Health Laboratory Service (NHLS) Amendment Bill [B15-2017] and National Public Health Institute of South Africa (NAPHISA) Bill [B16-2017]. The DoH said the National Institute for Occupational Health (NIOH) and the National Institute for Communicable Diseases (NICD) were not only stakeholders included within the drafting of the legislation, but had given further input into it. With regard to the South African Medical Research Council (SAMRC), it had suggested that the research pertaining to the long title of the Bill should be qualified research, to minimise overlapping with the Medical Research Council Act of 1991. The research conducted in relation to NAPHISA was not general research, but was quite specific. Since it was decided that both the NIOH and NICD would also be linked to NAPHISA, both institutes would conduct their own research. The DoH should therefore partner with the lawyers to ensure that the wording of their research would accommodate the SAMRC Act, such as the research being consistent with the object of the Act and its concerns. Historically, NAPHISA was restricted to work entailing infectious, or communicable, diseases. However, the scope had been expanded on the basis of the burden of HIV and Aids, which produced co-morbidity between communicable and non- communicable diseases. Therefore, for the sake of clarity, if one revised the SAMRC Act it would be noted that a ‘burden of disease’ report was produced by the SAMRC as a result of its research, yet the report was completed due to the gap within the field and not necessarily done because the Act had mandated it. There was therefore a need for a legislative appropriation for the ‘burden of disease’ report. SAMRC should be conducting research on traditional medicine, but that function had been stopped. Thus, in light of the Act, the review should consider the areas in which research was to be conducted, but had failed to take place. Since some institutions within NAPHISA would continue to conduct research, research could not be entirely omitted from its purpose, despite such a proposal. The Committee asked the DoH to provide a comprehensive analysis of the probability of success of each proposal made by the public during the public hearings. It was of the view that the Department had not taken the inputs made by civil society sufficiently seriously, because it had responded to unprecedented concerns as “new”, as opposed to the response expected from a national Department. The interpretation from the DoH on the public inputs was vital, due to the technical nature of the Bills, and a thorough investigation was necessary before their ratification, otherwise legal repercussions or amendments would be encountered shortly thereafter. Ms Precious Matsoso, Director-General, National Department of Health, said that that the National Institute for Occupational Health (NIOH) and the National Institute for Communicable Diseases (NICD) were not only stakeholders included in the drafting of the National Public Health Institute of South Africa (NAPHISA) Amendment Bill, but had provided further input into it. Upon review, there had been an official of the Department of Health (DoH) who had also sent commentary, which proved that this area had generated a lot of interest. The South African Medical Research Council (SAMRC) had suggested that the research pertaining to the long title of the Bill should be qualified research, to minimise overlapping with the Medical Research Council Act of 1991. The research conducted in relation to NAPHISA was not general research, but was quite specific. Since it was decided that both NIOH and NICD would also be linked to NAPHISA, both stakeholders would conduct their own research. Therefore, the DoH should partner with the lawyers to ensure that the wording of their research would accommodate the SAMRC Act, such as the research being consistent with the object of the Act and its concerns. To reiterate, the NICD should conduct research in its own right and the NIOH should conduct research in its own right, but neither should be the same type of research that the SAMRC conducts, which was laboratory-based. NAPHISA’s work pertained to disease-detection, as well as assistance with epidemiological preparedness. Historically, it was restricted to work involving infectious diseases, which were communicable diseases. However, the scope had been expanded on the basis of the burden of HIV and Aids that produced co- morbidity between communicable and non-communicable diseases. Co-morbidity existed between HIV/Aids and diabetes, as well as between cancer and Aids. Cancer was no longer deemed as a non-communicable disease (NCD), essentially meaning that greater understanding about infectious diseases was needed. Therefore, for the sake of clarity, if one revised the SAMRC Act, it would be noted that a ‘Burden of Disease’ report was produced by the SAMRC as a result of its research, yet the report was being completed due to the gap within the field and not necessarily because the Act had mandated it. Consequently, there was a need for a legislative appropriation for the ‘Burden of Disease’ report. SAMRC should be conducting research on traditional medicine, but that function had been stopped. Thus, in light of the Act, the review should consider the areas in which research were to be conducted, but had failed to take place. In a sense, the MRC should not exercise partially in the research topics that it preferred at the expense of others. Therefore, the Department required an analogy of every research-related entity. NAPHISA was supposed to do surveillance on diseases broadly. It was proposed that SAMRC recognised its statutory mandate. The functions of NAPHISA and the functions of the Human Science Research Council (HSRC) were available for perusal by the Parliamentarians. The recently released Demographic Health Study was the work of multiple institutions -- Statistics South Africa (StatsSA), SAMRC and the Human Sciences Research Council (HSRC), but it was funded by the DoH. However, StatsSA releases the report despite not funding it, as this cooperation did not limit the powers of StatsSA, since in terms of national statistics it was the competency of StatsSA to release the Demographic Health Study report. The mandate of NAPHISA was quite distinct, and did not amount to duplication, even though its mandate involved contributing to research where appropriate. Since some institutions within NAPHISA were to continue to conduct research, research could not be entirely omitted from its purpose, despite such a proposal. Under Section 2: Establishment of NAPHISA, it was proposed that “Occupational and Environmental Health” be inserted. Within the commentary shared with the Committee last week, it was initially proposed that “Occupational Health” be inserted, but “Environmental” had been added soon thereafter. The Department was of the view that environmental hazards were a concern, even though the initial commentary by the NICD had omitted it. Under Section 3: Functions of NAPHISA, the Department did not agree with the recommendations proposed, viz. “It is recommended that section 3(1) be amended to read as follows: “The NAPHISA must, on its own, or where an other public entity has concurrent statutory jurisdiction, then in consultation with such entity, must..” Secondly, the documentation from the SAMRC and NOIH recommended that Environmental Health be added to the functions of the NAPHISA, based on their own discussions and comments. However, occupational health by its nature must include the environmental factors that influence the health of workers, so there was no value in including environmental health. The SAMRC had actually quoted case laws in the comments given to the DoH, but it would not list all of the competencies that it had, merely those which were relevant to NAPHISA. The National Health Research Committee (NHRC) was also mandated to establish a health act. In respect of Section 3, subsection 3z, the DoH responded that the payment of gratuities and pensions must be done within the ambit of the applicable legislation and as such there is no need to specifically mention the Act in the Bill. Under section 5: Composition of the Board, each stakeholder had wanted specific representation. For Example, the pharmacies had wanted pharmaceutical representation on the Board, and communities had wanted representation. Upon review of the nature of the work that NAPHISA would be doing, cognisance needed to be taken about the fact that the Board was meant to have had technical composition. A technical board required certain requisite skills, and therefore the DoH experienced difficulty regarding how community representation would be done, because organisations within civil society presented particular views, considerations and orientations. It did not object to the proposal of community representation, but appealed for the understanding of civil society that not everyone could be represented simultaneously, because inclusion would result in much too large a board that could impede on efficiency. The Department was also of the view that two community representatives on the Board were unnecessary. The NAPHISA Board by nature should not represent institutions, but should represent skills, as the candidates would require intellectual expertise to conduct adequate research in the field. The Department therefore stressed that an appropriate board structure was vital to ensuring good governance, entailing that the board members must be appointed on the basis of their relevant experience, skills and knowledge, as opposed to stake-holder representation. In terms of the current composition, NAPHISA had full judiciary duties. There were two recommendations. Firstly, some recommended that an Accounting Authority was paramount, whilst others recommended that the Chief Executive Officer (CEO) should be the Accounting Officer upon the Board that was accountable to the Minister, precisely because the executive authority was responsible for the governance and management of oversight of the entity. In respect of Section 5.1, a proposal had been that distinction should be made between executive and non-executive members, but the DoH had responded that such a distinction was already made. Under section 6: Appointment of Board Members, it was proposed that “consistent with the Research Councils, the term of Board membership be three years and the envisaged reappointment be limited to one further term”, which was a new proposal according to the Department. Mr T Nkonzo (ANC) raised two concerns. Firstly, the manner in which the documentation was written was of sub-par standard. Secondly, in most instances the comment cited by the Department of Health (DoH) was that the concern raised was “new”. Although the notion of the concern was seemingly new, what was the view of the DoH on it? The Portfolio Committee on Health was interested in the view of the DoH, in addition to the views that had been derived from the public before adequate engagement could take place, otherwise it was a mere repetition of the public hearings. Therefore a thorough response was required, and not merely citations of new concerns. For example, if one were to consider Section 3(1) L, NAPHISA’s recommendations were to be noted, followed by the recommendation by the Department, which advises that the recommendations by NAPHISA ought to be binding. The DoH needed to clarify the omission of its input. It was imperative for the government to consider stakeholder submissions seriously. What was the nature of the expected response from government? Could the Committee receive some degree of assurance that the government would act should the proposals fail to be implemented? How would the DoH handle the situation, and what would be the consequences? Ms C Ndaba (ANC) noted the functions of NAPHISA as a concern, since they might pose a threat of a potential loss of South African sovereignty. Hypothetically, if disputes with NAPHISA were encountered, it could provoke disputes with external bodies and their legal representation, which was an alarming prospect. What would this mean? Was the assumption that the proposals presented today were the final recommendations? It was understood that the purpose of the public hearings had been to receive inputs from civil society, but what had the Department deduced in addition to them? Before ratification, the concerns of the Committee should also be taken into consideration. The documentation had noted other concerns, such as under-funding for NAPHISA, but that would not be deliberated today. Dr P Maesela (ANC) commented that it was amazing that the Department had not noted whether the inputs by the public were right or wrong, such as the possibility of viability, or not. Also, there was no indication whether they should be included or not -- or could it be assumed that the irrational proposals had already been overlooked or some proposals been excluded due to delayed submission? The health service was a functional area in concurrency between national and provincial legislation, but what was this concurrency and what had it implied as acceptable within the Bill? What did the Bill require, as informed by Section 24 of the Constitution, for the sake of concurrency? The motivation behind this was the essential need to ensure that once the Bill was ratified, there would be no legal repercussions. Was the Bill concurrent with the competence in both national and provincial legislation? Secondly, the citation of ‘to strengthen across border regional and international collaborations on communicable diseases and non-communicable diseases’ was reflected as a “new issue”, but this was much too significant a matter to be as dismissed by the Department. The consistent response of “new” appears as though an electronic error of copy-and-paste had taken place. Therefore, the DoH needed to revert and reinterpret its analogy of public input. Thirdly, since “operational research” was a form of research, there was no need to refer specifically to it. Why was operational research previously not sufficiently important, although it was a research skill? 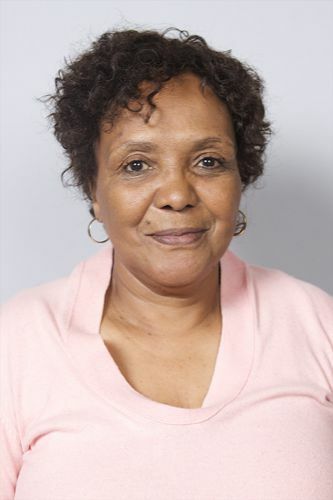 Ms L James (DA) asked why one person should represent the community on the Board of NAPHISA, and on what basis would the candidate be elected? Had the SAMRC only cut research conducted on traditional medicine, and if so, what had been the motivation behind this? Was the Bill aimed at adjusting the objects and duties of the National Laboratory Service and changing the governing fundamental mechanism of the National Health Service? The Chairperson expressed concern about the lack of distinction regarding the origin of the DOH’s view. Had it derived from the Director General, or was it the stance of the Department, because the DG kept referring to herself during the explanation? Only once this distinction was made could there be deliberations about ratifying the proposals, as the current presentation could not assist with progression for Parliament. If issues were actually “new matters” stemming from civil society, what was the view of the Department following suit? The Department should revert with better responses to assist the Committee, particularly with a distinction between the inputs from civil society and the Department. The DoH could even rely upon law advisors to assist it, because law-making was quite a weighty task that was highly technical. The Committee would have appreciated honesty from the Department indicating that it was not yet ready to present on the Bills, and duly request time for thorough deliberation. Instead, there was an impression that the DoH had not taken the public inputs seriously. There had been allegations by Dr Sasha which had challenged the integrity, capacity and ability of the Department to respond to grievances sent to it. The quality of the responses given by the Department was disappointing. Ms Matsoso apologised for the quality of the documentation provided, and said that due to extremely short notice, the Department had merely the Sunday to prepare for the engagements. Next, the comments made by the stakeholders were as a result of sitting in on a number of deliberations. The minutes of the stakeholder meetings attested to the extent of the meetings, and although some aspects had been irrelevant to Parliament, the documentation had been submitted due to the possibility of their value and on account of fairness, as the nature of the comments made bore merit. This compilation of commentary had been shared on Thursday 17 August 2017, and had been deliberately done to reflect the elaborate discussions of the DoH. The Secretariat had been asked to respond for purposes of record, to all of the information that was on hand, such as a copy of an email from Prof. Freeman. It was highly inappropriate that individuals would aspire to lobby Parliament as means to acquire employment, because due processes had to be followed without exception. The World Health Organisation (WHO) document highlighted processes, such as checks on performance and academic qualifications, terms of reference, etc. Although it was improper to publicly disclose information on prospective candidates, it was necessary in this instance so that the Committee was made aware of how the adjudication was done. An official responsible for the induced error had also made a submission. Historically, Dr Sasha had worked with Dr Mamphele Ramphele in the past, during which they had asked the Department for R8 million to conduct community-related work. At that time, they had wanted the funds upfront, but in accordance with Public Service Act or the Public Finance Management Act (PFMA) individuals could not be given money upfront. They had to follow due processes, undergo these procedures and submit a report before the receipt of funds. Subsequently, the Health, Safety and Loss Prevention (HSLP) employed had Dr Sasha, and had not beensatisfied with his performance and opted to release him. Dr. Sasha had appealed to the Director General (DG) of the DoH to intervene after he had been fired due to ill-performance, but it would have been inappropriate of the DG to do so. Although this was not a platform for such matters, it was essential that clarity took place and further submission of records could be made available. Dr. Sasha had presented evidence to the Department for review by the Minister of Health. However, it was still expected of him to follow the due processes, as the Minister could not circumvent and appoint people on a basis of an e-mail of grievance. Regarding the lack of input, the Department had taken note of the need for it and could revise the documentation, but the opinions of DoH put forward thereafter would not differ from the opinions prescribed to it, since during the public hearings it had done expansive work while engaging the various stake- holders. At one stage, the DG had recommended the NIOH as unsuitable to be apart of NAPHISA, but the experts within the meeting had advised its inclusion. The advice from the experts had been accepted, and on such a basis the NIOH had been included within NAPHISA. Referring to the loss of sovereignty, she said it was not the intention of the Department to sell its institutions. In fact, NAPHISA was a very strategic institution for the country, as it was within its scope to deal with nuclear warfare or bioterrorism. Subsequently, the information it hosted must be guarded, as disclosure would have industrial implications as well. Another issue was the matter of funding arising within a proposal. Currently the NICD and NIOH were at financial risk. The NHLS was also at risk, because payments by the provinces were pending, and this had risked the NAPHISA institutions. However, NAPHISA could not survive on donor funding alone -- it was essential that it received a direct funding appropriation. Regarding operational research, when operational research was specified in law, it would mean that all other researches could not be conducted. Regarding the community representation on the NAPHISA board, each stakeholder had requested representation, which was impractical. For instance, the lady who represented adolescent and child abuse had also wanted representation on the board, yet it was a NGO. Each institution that presented had wanted board representation, so the DoH had proposed as an alternative that partnerships among community-based organisations be made, from which Board representation could be derived. DoH was not of the view that two people should represent communities on the board of NAPHISA. The SAMRC had conducted research, but had stopped research on health systems, as well as on traditional medicine, but the Department was of the view that it should continue with such research. The functions of NAPHISA relied in diagnostic laboratory services for purposes of treatment. Should one go to a laboratory, blood would be drawn to check what the individual had suffered from. The functions of NAPHISA would also particularly kick in, for instance if an outbreak of cholera occurred as a result of migration. The Department apologised for the presentation, and assured the Committee that it would be redone and resubmitted. The Chairperson commented that it would be unfitting should any unforeseen legal repercussions cause the Bill to revert for revising, after it had already been ratified. Having said that, the Portfolio Committee could not risk being accused of not taking the public submissions seriously. The Department should have noted the issues cited as ‘new’ proposals by the public by providing responses, because their omission appeared as a lack of consideration for unprecedented concerns, while the recurring issues had the regular kind of responses. Ms James asked how the Department had come to the decision to have one person representing the community on the NAPHISA Board. Mr Nkonzo commented that the hard copies of the documentation given to the Committee Members were thick, but ultimately unhelpful. Instead of merely presenting the inputs by civil society, the Department should have scrutinised the probability of their success or possible implications, and then indicated whether the proposal was agreed with or not, or agreed along with its foreseen risks or implications. Alternatively, the Department could have cited the new proposals as “noted” accordingly, but it should not have omitted feedback or an official analogy. The issue was not the unprecedented proposals stemming from the public, but that the DoH had indicated them as “new” without explaining why they were interpreted as such, nor had it elaborated on possible implications. Also, the format was confusing -- which document was the DG referring to within the verbal presentation? Even the receipt of the minutes from the public hearings was irrelevant to the Committee. Law-making focused relevance on the ratification of the Bill, which entailed comments by civil society during the Parliamentary public hearings, along with the analogy by the Department. The Chairperson agreed that the Department should have analysed the pragmatic capacity of the public proposals as a means of advising legislation, because the Committee could not ratify Bills or their amendments based on abstract politics, but could improve legislation based on concrete matters of concern instead. Dr S Thembekwayo (EFF) added that views formed in a rushed manner were unprofitable too. The DoH should respond to the issues properly in an insightful manner, as opposed to the hush-hush responses given today. 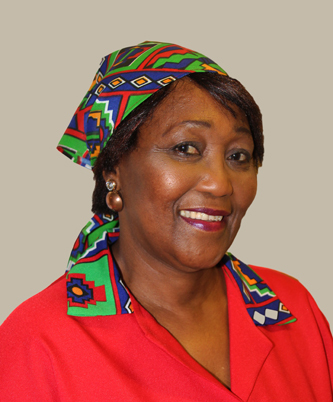 The Chairperson said that the Portfolio Committee on Health was of the view that the DoH should revert for a more expansive deliberation on the issues raised by stakeholders during the National Health Laboratory Service Amendment Bill [B15-2017] and National Public Health Institute of South Africa Bill [B16-2017] public hearings. Ms Matsoso said the Department would revert with responses to the query about community representation and the need for it. On another matter, the minutes were released to indicate where the NIOH and SAMRC had consulted. The Chairperson concluded that the ratification of legislation was quite challenging.